patients. For that reason, Alderney Chiropractic became Kinesis Health Associates in order to better represent the many services and modalities our clinic has to offer. Our approach is simple. We believe that health is among our most valuable possessions. Our goal is simple – to help you achieve the level of health and wellness you desire. We provide several options for care and we’re dedicated to maintaining the highest standards of practice to get you on the road to great health and a better life now! We encourage our patients to achieve the highest levels of health they can. Through educational opportunities (like this website), we hope to communicate the value of ongoing chiropractic care. Our desire is to see our practice members abandon the prevailing sickness care model of health (waiting for symptoms and then taking action), in favor of the emerging wellness model. The bottom line is this; true health does not come from only one source. True health comes from a number of different sources such as diet, exercise, good sleep… you get the idea. We know what it takes to achieve a healthy lifestyle in order to get more out of life and we would be honored to be your wellness advisers. 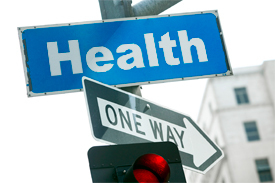 Under our supervised care and treatment programs many health goals will be achieved. While many will require no further treatment to keep their presenting symptoms at bay, others may require ongoing treatment beyond their initial care program to maintain their level of improvement. The need for this type of care depends on many factors with the most common being the severity and duration of the presenting complaint and secondly, on the persons willingness to change lifestyle factors that may have contributed to the presenting complaint. Sound interesting? Please contact our Dartmouth office to make an appointment today. Thank you for considering our office for your health care needs. We understand that there are many facilities that you could have chosen. We are honored to have the opportunity to serve you!